Businesses have less than 30 days to file Forms 1099-Misc with the IRS and recipients. The due date is Wednesday, January 31st. 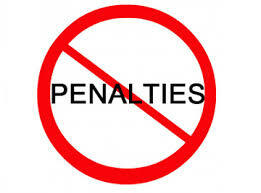 Penalties for late or not filing are $520 per recipient. Not all payments to vendors are reportable to the IRS such as payments that are less than $600 per recipient and amounts paid to some corporations. Amounts paid to partnerships and limited liability companies are reportable to the IRS. The maximum penalty amount is $3,218,500 or $1,072,500 if your company meets certain criteria. Yes, that’s right, $3 million or $1 million. These numbers are not typos! We are currently contacting our business clients to gather information to comply with this filing requirement. Please send me an email or call us at (323) 285-9880 if we can be of assistance to you. David A. Paddock, CPA, M. TAX. “Associated-With Meals”: Is your business meal tax deductible? The IRS looks at “associated-with” meals separate from the business meeting that occurred before or after the meal. The purpose of the meeting must be primarily for business and there must be an expectation of getting income or some specific business benefit. But the meal itself (before or after the meeting) must meet a lower standard of having a clear business purpose. Goodwill meals with clients meet the clear business purpose standard. Therefore, to increase your chances of getting your tax deductible meal approved by the IRS, you should have a business meeting before or after the meal. Remember to keep your receipts, in addition to a record of business purpose, to prove to the IRS the meal expense is related to your business. No receipt and no record = no tax deduction. Please contact David Paddock if you have any questions about this post or other audit-readiness matters. “Directly related meals”: Is your business meal tax deductible? Taking a customer or business colleague to lunch or dinner and conducting a business meeting is what the IRS calls a “directly related” meal because the meal and business meeting take place at the same time. The IRS says the meeting must have a business connection; business must be conducted at the meeting; and the taxpayer must have a general expectation of getting income or some other specific business benefit. In addition, the business discussion has to be more than incidental. Is your business meal tax deductible if you talk a little about business but mostly about your customer’s or colleague’s recent vacation or tennis game? Unfortunately, the cost of taking a customer or colleague to lunch or dinner and talking mostly about vacation or tennis is not tax deductible. This is called a “goodwill” dinner. So how do you make a directly related meal tax deductible? The easiest way to make a directly related meal tax deductible is to have a specific business discussion with your customer or colleague. For example, you schedule a lunch meeting with the script supervisor to discuss changes made to the script. It is not necessary to discuss the changes during the entire time you are eating lunch. 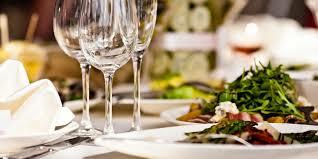 But it is important to have a business reason and a specific business discussion during the meal. A second way is to have a meal that is “associated-with” business. This type of meal will be discussed in the next blog post. It is harder to prove business connection when a meal occurs at the same time as the meeting. So it is important to have a record of the meeting’s purpose. The record must be clear as to the purpose of the meeting. A notation that says: “business meeting with script supervisor” is not good enough. A better notation is: “business meeting with script supervisor to discuss changes made to the script to help me write tomorrow’s script”. Remember to keep your receipts, in addition to a record of business purpose, to prove to the IRS that the expense is related to your business. No receipt and no record = no tax deduction.